What is your favorite snack of choice? Is it salty like chips and popcorn or sweet like brownies and Twinkies? Whatever it may be, if you’re into snacking, then this week’s Swagbucks Swag Code Extravaganza is for you! 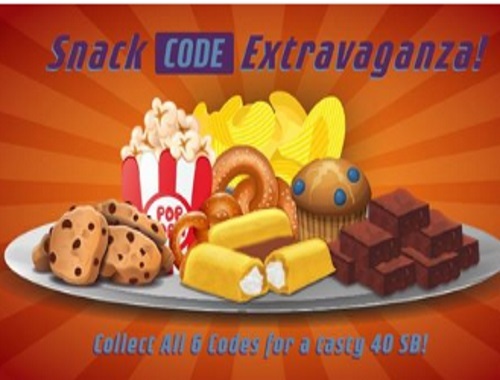 Get ready to veg out during the Snack Code Extravaganza! The Extravaganza begins on Wednesday, April 26 at 7am PDT/10am EDT until 5pm PDT/8pm EDT. 6 Swag Codes worth a total of 40 SB. The codes will be all over Swagbucks so be on the lookout! I will be posting Swag Code alerts on our Twitter and Facebook Group throughout the day as I find them. Be sure to follow us on there.